Nurses are the largest group of healthcare providers in the United States, occupying many workplaces, from doctor’s offices to biotech firms, governmental agencies and private insurers. Trusted more than almost any other professional, nurses implement a broad influence on the way healthcare is conveyed and represented. The researchers followed by analyzing the quality of the nurse’s work. A minor percentage of nurses admitted to making a recent medication error or reported that a patient had fallen while under their care. By modifying the analysis according to how the nurses were feeling, the researchers discovered that the chance of a patient falling or a medication mistake from the nurse increased considerably by about 20 percent, the more a nurse was in pain or depressed. Nurses are surrounded with many environmental stressors in the hospital workplace. The rates of sick patients have increased over the years and nurse-to-patient staffing ratios are not always standardized. Occasionally, through the course of a 12-hour shift, many nurses can encounter situations where they must care for more patients than is comfortable. Also, if a nurse becomes ill, they can often feel more pressure to show up for work because their absence could mean even more work for their colleagues or further staff shortage when caring for patients. Unfortunately, there are few work-based resources available for nurses who are ill or depressed. Also, only a few hospitals have preventive programs that authorize safe patient lifting practices or policies which support nurses who may be temporarily disables as a result of an injury or illness. 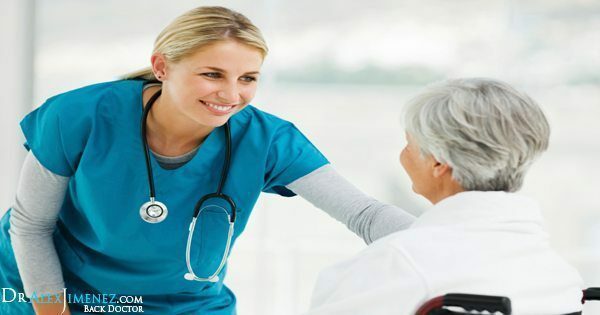 Nurse managers frequently have little training on how to handle nurses with health problems and even many staff nurses may be unaware themselves on how to properly help a fellow nurse in need. Furthermore, nurses experiencing pain and discomfort should seek immediate medical attention themselves to diagnose a possible injury or underlying condition that could be causing their symptoms. Chiropractic care is an efficient, alternative form of treatment that offers many physical and emotional benefits for individuals who are experiencing debilitating symptoms. Healthcare workers frequently report some form of back pain. Through chiropractic care, a chiropractor may utilize spinal adjustments and manual manipulations to carefully and gently re-align the spine in order to correct any possible misalignments or subluxations that could be causing pain and/or nerve compression. With a series of appropriate stretches and exercises designed according to each individual’s needs, a chiropractor will also further help an individual and speed up the recovery process by relieving many painful symptoms associated with back injuries or conditions as well as improving the strength of the spine and its surrounding structures to restore the person’s natural mobility. For nurses, healthcare workers, and the general public alike, chiropractic treatment can greatly help improve an individual’s lifestyle.